Under the patronage of Her Highness Sheikha Latifa Bint Mohammed Bin Rashid Al Maktoum, Vice Chairman, Dubai Culture & Arts Authority; Mirodec would like to invite you to Dubai Downtown Design on the 13th of November 2018. Downtown Design is the region’s leading contemporary design fair. 2018 will feature the inaugural showcase of downtown edition. The fair’s new element dedicated to bespoke and limited-edition design. 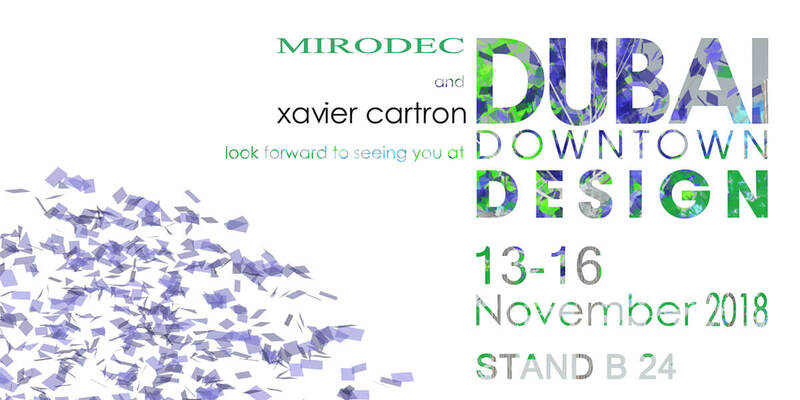 Mirodec is proud to be showcasing its unique products at the Middle East’s leading design fair Downtown Design. 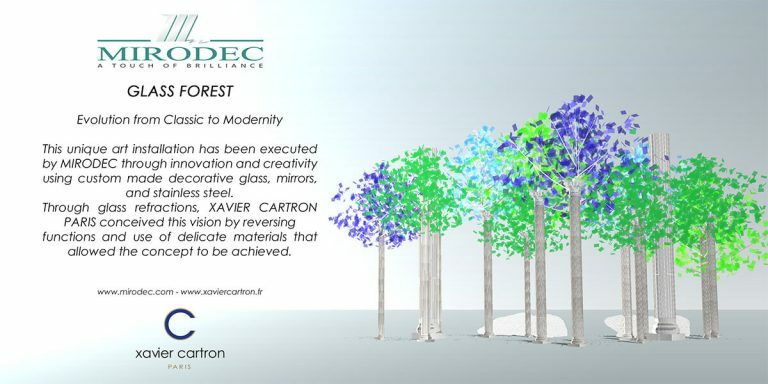 This year we collaborated with the world renowned Xavier Cartron Paris to bring to life a glass forest that demonstrates the evolution from classic to modernity.